Recently, TTDN1 mutations (chromosome 7p14) have been found in up to 10% of non-photosensitive cases. , Some investigators have suggested a third genetic group that comprises some non-photosensitive patients in which this mutation was excluded. However, their exact molecular bases are not still known. In this article, we study clinical, microscopic and ultrastructural findings of twenty patients with TTD with the aim to add further insights regarding to this rare condition. Additionally, analyses of our results are compared with those extracted from the literature review in order to enhance its comprehensibility. Diagnosis of TTD is currently based on the following clinical or laboratory abnormalities: presence of brittle hair and/or hair shaft abnormalities, tiger tail banding with polarized microscopy, and decreased sulfur content of hair. Following these diagnostic criteria, 20 cases of TTD were included. Seven patients from the North East of Mexico (Sabinas: 4 cases, Nuevo Laredo: 2 cases, Saltillo: 1 case) and the rest from the Department of Dermatology of Hospital Clinic (Barcelona, Spain) are described. Clinical, microscopical, SEM studies, and X-ray microanalysis (XrMa) were completed in all of them. Genetic studies were additionally performed in all seven Mexican cases. Patients with xeroderma pigmentosum and xeroderma pigmentosum/TTD-complex were excluded. 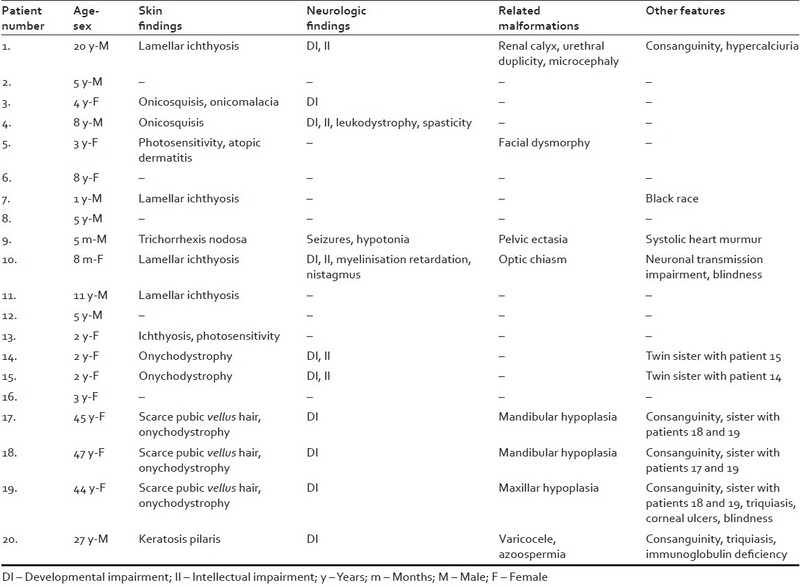 Numerous clinical associations have been observed [Table 1], some of them of note: ichthyosis [Figure 1], absence of photosensitivity, developmental impairment, intellectual impairment, scarce pubic vellus hair, and onychodystrophy. Micro-dolichocephaly was seen in 5 of our 20 cases and represented the most frequently facial dysmorphism found. All three patients with urologic malformations combined diverse neurologic disorders as developmental impairment, intellectual impairment, and seizures. Triquiasis and blindness was present in two patients. Other interesting findings included trichorrhexis nodosa, corneal ulcers, optic chiasm defects, immunoglobulin deficiency, hypotonia and atopic dermatitis. The seven Mexican patients were genetically studied with no positive results. Five patients did present no related disturbances. In all cases the hair was fragile and brittle [Figure 1]. Pilotraction was positive and "tiger tail" aspect under polarized optical microscopy with trichoschisis was observed [Figure 2]. SEM examination demonstrated the presence of flattened hair shaft with the presence of irregular longitudinal, disorganizing crests following the longitudinal hair axis [Figure 3]. Cuticular changes consisted of a decreased of the number of cuticular cells and partial decuticulation. All patients showed sulfur deficiency under XrMa [Figure 4]. Hair shaft sulfur deficiency was disposed discontinuously and intermittently rather than uniformly. This severe decrease of sulfur contents (less that 50% of the normal) was coincident with the edge of the trichoschisis areas. TTD shows no gender preponderance. Our case series includes 8 males and 12 females. Age distribution, which ranged from 5 months to 47 years, showed striking similarities with that reported in the literature. As in diverse recessively inherited disorders, consanguinity is more commonly encountered among TTD patients. Despite it has been recorded that these patients may dead in up to 20-fold higher compared with the United States general population at young age,  we did documented no deaths. However, it should be mentioned that a long-term follow up was limited since this was a transversal cohort. Among TTD-associated abnormalities, ichthyosis is the most frequently documented skin abnormality. Similarly to our study, lamellar type is the most common. However, while data from literature shows a high incidence of ichthyosis among TTD patients (65%),  our study demonstrated a significant decreasing of this condition (20%). Unexpectedly, a recent study conducted by Morice-Picard et al. showed a higher incidence of cases with clinical and microscopic aspects of ichthyosis vulgaris. In addition, their case series showed that congenital ichthyosis and collodion baby were more frequent in patients with clinical photosensitivity and abnormal DNA repair than those non-photosensitive. In contrast, only one of our five patients with ichthyosis demonstrated photosensitivity. Regarding to this, it is interesting a patient that we previously published  who presented with the coexistence of congenital ichthyosis, developmental delay, intellectual impairment, renal calyx malformations, microcephaly, urethral duplicity, and hypercalciuria. Moreover, patient number 10 showed myelinisation retardation, nistagmus, neuronal transmission impairment, optic chiasms malformations and secondary blindness. Interestingly, a 1-year-old male black race patient showed congenital lamellar ichthyosis associated with TTD. Photosensitivity is the second most reported skin feature in the literature (42%). Unexpectedly, we only found it in two patients (10%). It is interesting that despite none of the seven patients genetically studied for TTDN1 gene was positive, only two of them had photosensitivity. This leads to hypothesise that patients with no TTDN1 gene mutation may be the majority in the non-photosensitivity group. Other uncommon cutaneous features include erythroderma, ezcema, telangiectasias, follicular queratosis, cheilitis, or pruritus. However, we suggest that these findings may be part of the ichthyosiform or atopic clinical spectrum. Hence, they might represent either incomplete forms or unspecific signs. Three of our adult patients, who were sisters as a result of consanguinity, presented with the following non-reported association: scarce pubic vellus hair, developmental delay, onychodystrophy, and maxillar/mandibullar hypoplasia. In addition, one of them included blindness. Nail disturbances are noteworthy in TTD context. Onychodystrophy is related to TTD in up to 37% of cases but any nail abnormality may be found. Seven of our patients showed multiple onychodystrophy that affected hands or feet indistinctively. Onicosquisis and onicomalacia were noted. Fungi cultures were negative in all cases. The majority of TTD patients show a wide-ranging degree of developmental delay or intellectual impairment. The former was represented in 10 of our patients, while 6 presented with intellectual impairment. Literature review demonstrates an interesting association, since ichthyosis is closely linked to developmental delay (92%). In our cases, two of four patients with ichthyosis presented with developmental delay and/or intellectual impairment. Surprisingly, our study illustrated that 100% of patients with nail disturbances non-related to ichthyosis showed intellectual impairment. In addition, three of these seven patients also suffered from developmental delay. Although the interpretation of these results might be controversial seeing that they have not been mentioned in the literature, we would like to point out that nail abnormalities could have played a predictor role in terms of neurologic abnormalities in our patients. Motor control disability or psychomotor retardation may be additional anomalies. In our case series, further relevant neurological abnormalities were observed such as myelinisation retardation, vestibular disorders, convulsions, leukodystrophy, spasticity, and hypotonia. Facial dysmorphism has been reported in 66% of cases with TTD,  which included microcephaly, large or protruding ears, and micrognathia among many others. However, it is interesting that micro-dolichocephaly was seen in 5 of our 20 cases, representing the most frequently facial dysmorphism found. One of them added dental hypoplasia. Cataracts are the most common ocular abnormality. Despite our study did not show any association with cataracts, it is remarkable that further insights in this field were obtained. Herein, it was confirmed the coexistence of previously non-reported features such as trichiasis and corneal ulcers. Additionally, it was observed optic chiasm malformation and blindness in one and two patients, respectively. Furthermore, we observed further remarkable non-reported findings during hair study with SEM: cuticular changes, longitudinal crests of the hair shaft that irregularly followed the hair longest axis and less sulphur contents close to the trichoschisis areas. In summary, our study revealed that TTD phenotype has greatly varied from very subtle forms to extremely severe alterations such as neurologic abnormalities, blindness, lamellar ichthyosis, and gonadal malformations. Hence, a patient diagnosed with TTD should mandatorily undergo a complete multisystem study. We would like to thank Dr. Angela Cristiano (Department of Genetics and Development, Columbia University, New York, United States) for the genetic study, as well as Drs. Montserrat Castro, Marta Cucurell, Eva Fernández Vilariño, Isabel Febrer, Valentín García Mellado, Dan López, Ana Martín Santiago, Alex Llambrich, José Carlos Moreno, Jorge Moreno, Anna Tuneu, Angel Vera and Ernesto Bonifazi for referring their patients to us for the study. 1. Price VH, Odom RB, Ward WH, Jones FT. Trichothiodystrophy: Sulfur-deficient brittle hair as a marker for a neuroectodermal symptom complex. Arch Dermatol 1980;116:1375-84. 2. Bergmann E, Egly JM. Trichothiodystrophy, a transcription syndrome. Trends Genet 2001;17:279-86. 3. Lambert WC, Gagna CE, Lambert MW. Trichothiodystrophy: Photosensitive, TTD-P, TTD, Tay syndrome. Adv Exp Med Biol 2010;685:106-10. 4. Liang C, Kraemer KH, Morris A, Schiffmann R, Price VH, Menefee E, et al. Characterization of tiger-tail banding and hair shaft abnormalities in trichothiodystrophy. J Am Acad Dermatol 2005;52:224-32. 5. Price VH. Trichothiodystrophy: Update. Pediatr Dermatol 1992;9:369-70. 6. Faghri S, Tamura D, Kraemer KH, Digiovanna JJ. Trichothiodystrophy: A systematic review of 112 published cases characterises a wide spectrum of clinical manifestations. J Med Genet 2008;45:609-21. 7. Morice-Picard F, Cario-Andre M, Rezvani H, Lacombe D, Sarasin A, Taieb A. New clinico-genetic classification of trichothiodystrophy. Am J Med Genet A 2009;149A:2020-30. 8. Hashimoto S, Egly JM. Trichothiodystrophy view from the molecular basis of DNA repair/transcription factor TFIIH. Hum Mol Genet 2009;18:R224-30. 9. Stefanini M, Botta E, Lanzafame M, Orioli D. Trichothiodystrophy: From basic mechanisms to clinical implications. DNA Repair (Amst) 2010;9:2-10. 10. Itin PH, Sarasin A, Pittelkow MR. Trichothiodystrophy: Update on the sulfur-deficient brittle hair syndromes. J Am Acad Dermatol 2001;44:891-920; quiz 1-4. 11. Nakabayashi K, Amann D, Ren Y, Saarialho-Kere U, Avidan N, Gentles S, et al. Identification of C7orf11 (TTDN1) gene mutations and genetic heterogeneity in nonphotosensitive trichothiodystrophy. Am J Hum Genet 2005;76:510-6. 12. Malvehy J, Ferrando J, Soler J, Tuneu A, Ballesta F, Estrach T. Trichothiodystrophy associated with urologic malformation and primary hypercalciuria. Pediatr Dermatol 1997;14:441-5. 13. Liang C, Morris A, Schlucker S, Imoto K, Price VH, Menefee E, et al. 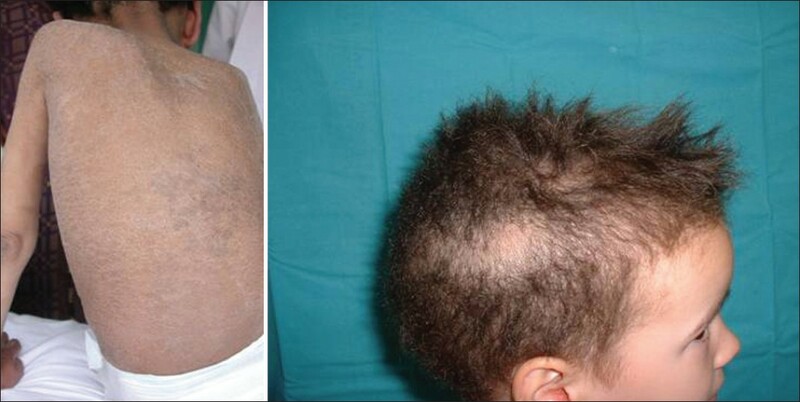 Structural and molecular hair abnormalities in trichothiodystrophy. 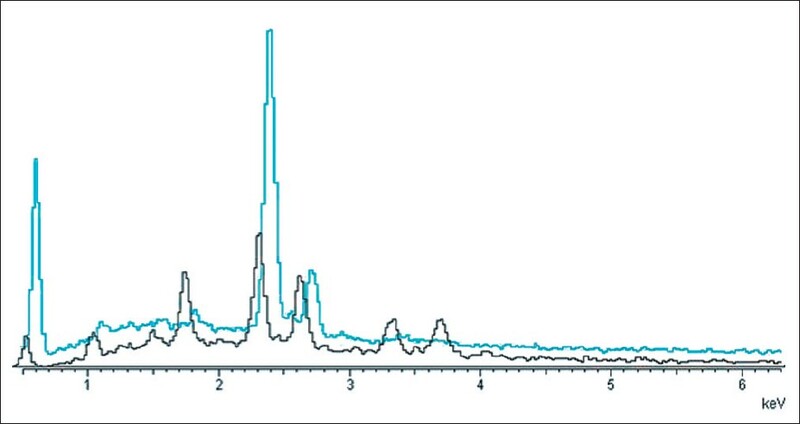 J Invest Dermatol 2006;126:2210-6. 14. Grimalt R, Ferrando J. Shaft effects from cosmetics and styling. In: Camacho F, Randall VA, Price VH, editors. Hair and its Disorders. Biology, Pathology and Management. London: Martin Dunitz Ed., 2000. p. 325-38. 1 Hair Shafts in Trichoscopy. Clues for Diagnosis of Hair and Scalp Diseases. Rudnicka, L., Rakowska, A., Kerzeja, M., Olszewska, M.